We talk a lot on this blog about roasting vegetables, but the majority of those posts are about fall/winter veggies like squash or root crops. Summer seems a time for quick stir-fries or cooking veggies on the grill (mm, grilled zucchini, eggplant, etc.). And sure, when it’s in the 90s we don’t really want to have the oven on to slow-roast. But in the years when I’ve had a big harvest of tomatoes and peppers (which I’ve been lucky enough to get this year) and just can’t deal with them all fresh, I’ve turned to roasting and freezing. Maybe I’ll use the results soon (like on one of those super-hot days), or maybe I’ll pull them out of the freezer in mid-winter – either way, convenient and delicious. Roasting brings out rich, concentrated flavors in vegetables, and those flavors contribute well to mixed vegetable dishes or to combinations with meat. And they make terrific salsas and sauces. I made a quick and delicious pasta sauce by burrowing in my freezer for last year’s roasted tomatoes and winter squash, similar to the tomato-sweet potato sauce I’ve described here before. Because the tomatoes had already been cooked to reduce moisture content, the sauce was ready much faster than if I’d had to wait for fresh tomatoes to cook down. 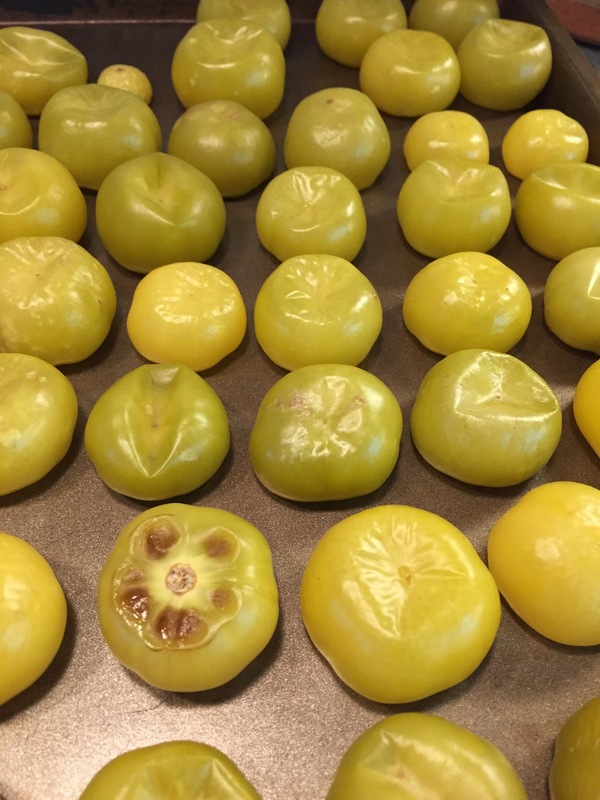 Here’s a post by Nancy about roasting tomatoes. This is about the same method I use, though I don’t bother removing most of the seeds and pulp in the middle, add the step of putting the cleaned and cut tomatoes in a colander over a bowl to drain (you can push them around with a wooden spoon, pressing a bit to get the juice out – and then use the drained juice in other recipes or to drink), and roast at a higher temperature for a slightly shorter time (more like 375/40). There’s a big variety in temperature and time in recipes. 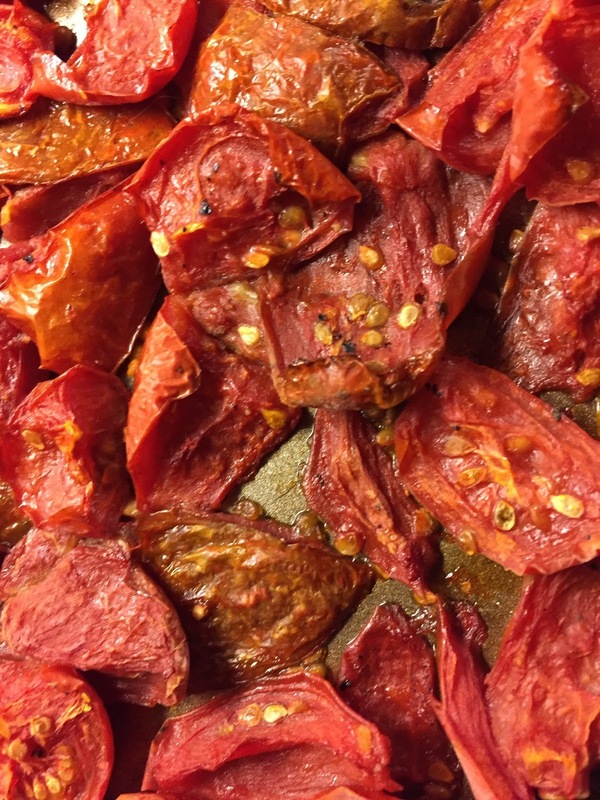 I think generally if you want a result more like sun-dried tomatoes to eat as snacks, you want lower temperatures and longer roasting time (over an hour is not unreasonable), whereas if you’re going to freeze them like I usually do, a greater level of goopiness is okay, and higher/shorter works. Here’s my latest batch of roasted tomatoes. Any tomatoes can be roasted, and I’ll choose first the ripest (since I’m doing this to get them off the kitchen table before they rot) and those I’m least tempted to slice and eat fresh. So this year I wouldn’t be roasting my Cherokee Purples, but would choose the prolific and average-to-good tasting tomatoes like those University of Florida varieties I mentioned in a previous post. Cherry tomatoes are also awesome when roasted (and we often end up with way too many). 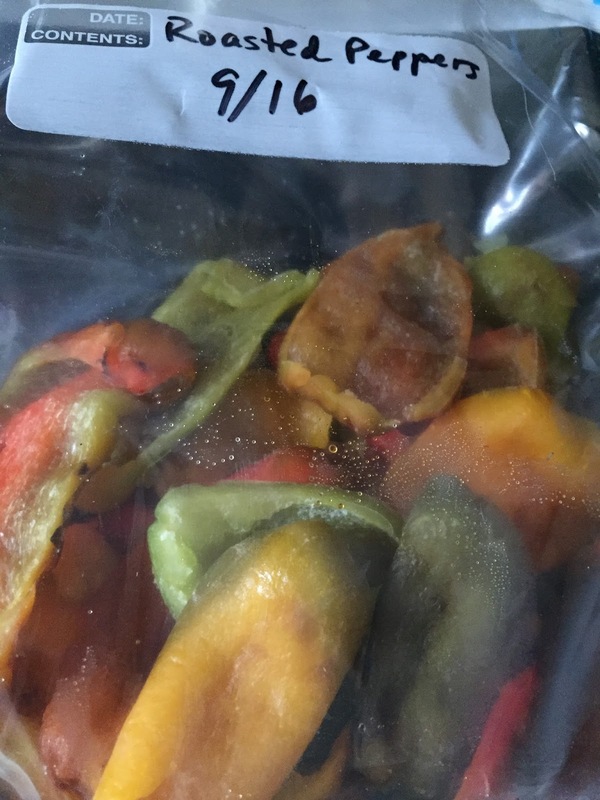 I’ve had a great year for peppers, and have put several batches of roasted ones in the freezer so far, both bells and a bunch of jalapeños from a plant that mysteriously dried up and died. (Another advantage to roasting-and-freezing – never could I have eaten all those spicy peppers fresh all at once.) 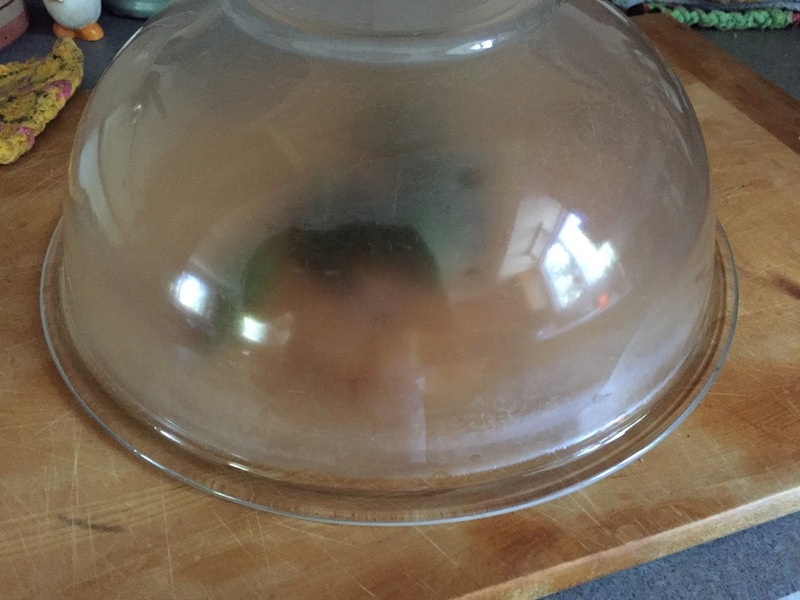 There are several methods for roasting peppers, and I will point you to this blog or this other blog for instructions. Basically you can roast in the oven on bake or broil settings, or directly over the stovetop flame. I have found broiling the easiest method for me (just make sure you don’t forget about the peppers and walk away distracted!). It’s also much faster, which is an advantage on hot days. 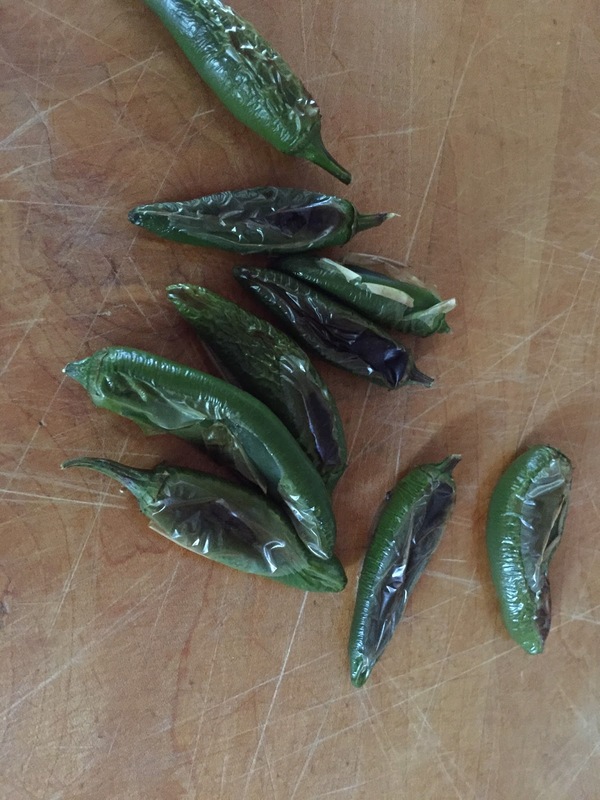 Thick-walled peppers work the best for roasting; with thin ones you sometimes end up with practically nothing once you’ve peeled the skin off. I find it easier with bell peppers to cut them in quarters first, removing the seeds, and roast afterwards, but you can roast whole too (as long as the peppers are perfect with no suspicious insect holes or evidence of interior damage). The other veggie I’ve been roasting this year is tomatillos, since I had a heavy crop earlier in the summer; it’s slowing down now. I did these in a 375F oven, I think, rather than under the broiler, but that would work fine too. They make a great salsa, among other things. All of these I freeze by the same method: 1) Let cool on the cookie sheet they roasted on; 2) Stick the cookie sheet in the freezer for 30-60 minutes, until the veggies feel semi-frozen; 3) Remove veggies with a spatula and put into labeled freezer bags. Freezing ahead on the sheet makes it less likely that you’ll end up with a big lump that needs to be defrosted all at once; instead you can pull out individual pieces. Anyone else roasting their summer vegetables? Which ones? Another perspective on tomato roasting: https://smittenkitchen.com/2008/08/slow-roasted-tomatoes/. Really slow – 3 hours at 225! But I'm sure they'd be delicious. I love having roasted tomatoes in the freezer. I throw them into pasta puttanesca (Silver Palate Cookbook — 15 minutes tops and you've got a delicious supper. Add wine, a little shaving of Reggiano and you've got a real meal!). We've been drying hot peppers in the dehydrator. Slice in half, leave the seeds in or take them out as you choose your heat calibration, and dry. The lemon peppers (aji limon) we often grind up in the food processor and my husband sprinkles them into whatever he thinks I didn't season enough. Easy. and very satisfying. Our dehydrator, plastic, wh I bought probably 30 years ago (yikes!) is still going strong.